A real witch is the most dangerous of all the living creatures. What's even more horrifying is that real witches don't look like witches. They don't ride around on broomsticks and they don't even wear black cloaks and hats. So how can you tell then you meet one? Read this story a... read full description below. A young boy and his Norwegian grandmother, who is an expert on witches, together foil a witches' plot to destroy the world's children by turning them into mice. Quentin Blake has illustrated more than three hundred books and was Roald Dahl's favourite illustrator. In 1980 he won the prestigious Kate Greenaway Medal. In 1999 he became the first ever Children's Laureate and in 2013 he was knighted for services to illustration. Roald Dahl was a spy, ace fighter pilot, chocolate historian and medical inventor. 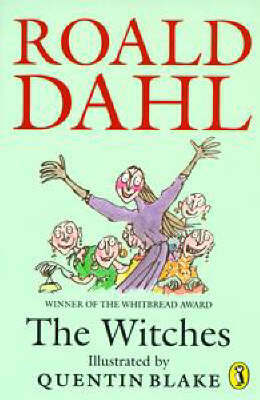 He was also the author of Charlie and the Chocolate Factory, Matilda, The BFG and many more brilliant stories. He remains THE WORLD'S NUMBER ONE STORYTELLER.